In Italy, Search Of Stricken Cruise Ship Suspended : The Two-Way The Costa Concordia shifted slightly earlier today, forcing searchers to back off at least temporarily. So far, 11 people are known to have died. Another two dozen are still missing. The ship's captain is under house arrest. The cruise ship Costa Concordia leans on its side off the Tuscan island of Giglio, Italy. "Divers searching the capsized Italian cruise liner Costa Concordia suspended work on Wednesday after the vast wreck shifted slightly but officials said they are hoping to resume as soon as possible," Reuters reports. And as CNN grimly reports, "with bitterly cold temperatures and frigid waters, the chances of finding more survivors appeared to dim early Wednesday as about two dozen people remain missing." 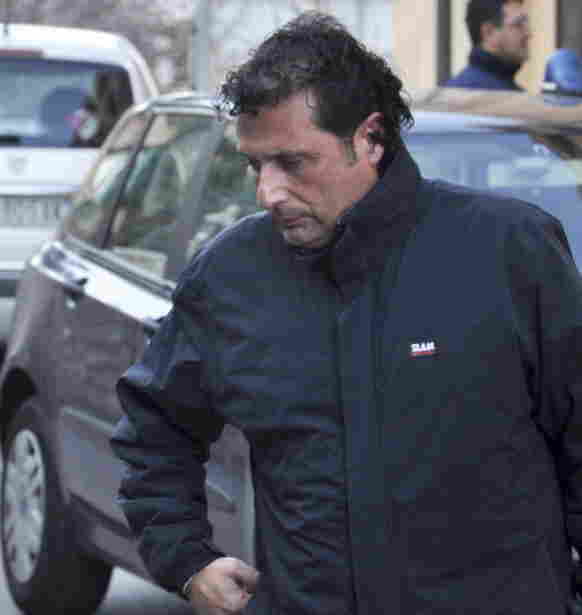 Francesco Schettino, the captain of the luxury cruiser Costa Concordia, on Saturday. At least 11 people from among about 4,200 who were on board died after Friday's accident. 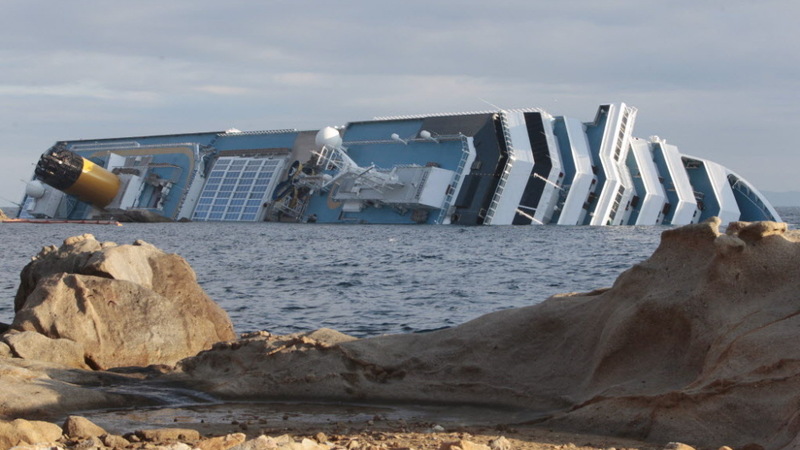 The ship struck rocks off the coast of Tuscany, took on water and tipped over on its starboard side. As we reported Tuesday, the ship's captain is under house arrest and stands accused of manslaughter. Italian Coast Guard officers suspect he abandoned ship before all passengers were accounted for — and there's a recording of a dramatic phone call in which one of those Coast Guard officers orders the captain to return to the stricken ship.